Alright, hopefully I've addressed most of the bugs! -made compatible with MM8BDM v5c. -Added more sound effects to Hadouken and hopefully made it more reliable. *Now correctly drops Chameleon Sting X instead of Electric Spark X. *Fixed oil sprites overwriting default MM8BDM ones. *Weapons can now light up oil pits. *Oil puddles can now be lit on fire by more weapons. *Can now light up oil pits. *Starts out as a lobbed projectile before it hits the ground and starts the chain reaction. *Can now fly with his first weapon equipped. *Ammo drains constantly while flying instead fo just when boosting, now with icon indicator. I've noticed that there was a v2b of this mod, and I had a bit of a problem when using this version and the previous on a server. Whenever X gets the Hadouken charge completely filled, if on a server the hadouken item glitches and should any other items get picked up, the hadouken item disappears and becomes hard to use as it flashes in and out of existence. I don't know if that's because of the new update that just got released (I don't really see major gameplay changes IIRC). There is an error anytime i teleport but i don't see that as something troublesome just annoying. but the main problem i have is the hadouken glitching out if i pick up say item 2 and then get the hadouken charged, the hadouken disappears and becomes unusable without timing perfectly scrolling to the disappearing item and pressing the button to use it. it might be because i have infinite inventory enabled on my server i wander around on, not entirely sure about that. anyways, thanks for listening to me ramble sorry i did that. Thanks again for any help given. welp, since this is getting attention again, mind if I send over what I have so far? Flame Mammoth can't ignite the oil and can't oneshot the oil pillars. Why does Sting chameleon drop electric spark upon death? Is this mod going to make a full comeback into development, and if it does will it go beyond X1? Someone made a Wheel Gator skin that can be useful. This turned into vaporware many years ago when I got stuck on the pickup system I was trying to implement. But since the base game got the V2b update, I was inspired to take another crack at it, plus fixing compatibility, and fixing the now rebroken teleportation skills, and trying to polish other buggy skills, and adding new weapons I forgot to six years ago. So that alone took a few months, but here you go. -New Weapon/Pickup/Drop system for different classes. **Can pick up Classic copyweps. **Can't pick up X copyweps. **Can pick up X copyweps. **Can't pick up Classic copyweps. **Can't pick up any weapons. **Can't pick up any weapon energy (ammo autorefills). **Drop X copyweps when killed. -Added Storm Eagle map by Knux. *Edited and added Wil's Launch Octopus skin. **Projectile is now based on Jax's Homing Sniper instead of the Mage Staff thingy. **Torpedoes make a rocket-ish sound when homing. **Damage reduced from 20 to 15. **Added a big jump altfire to better get the drop on foes. **Added a cloud effect to show the weapon's range. *Speed decreased from 0.8 to 0.67. *Health increased from from 107 to 119. *Teleport so that it doesn't teleport other players using the same weapon. *Fixed Boomerang Cutter's altfire so that it needs ammo to fire. *Speed decreased from 1.0 to 0.93. *Health increased from 81 to 86. -Fixed most custom pain types so that they go to A_Stop properly. *Now only the front of the Storm Tornado stuns players instead of the whole thing. *Wing Wind given a larger area of effect and pushes enemies in a more predictable direction. **Egg damage lowered from 25 to 20. **Pipis now use Homing Sniper coding. *Speed decreased from 0.8 to 0.77. *Health increased from 95 to 104. **Raised Hadouken firing height to normal level. **Lowered Hadouken required ammo from 200 to 150. **Fixed bug where charge sound would keep playing after death. **Lowered the maximum damage from final charge shots from 90 to 60. *Added 8 copyweps from the game (with charge shots too!). *Changed Armored Armadillo's temp skin from Proto Man to Hard Man. *Total rewrite of Rolling Shield code. Hopefully eliminating skybox stranding. *Projectile now bounces off players instead of trying to go through them. *Player skin now does the Rolling Shield animation instead of the projectile. *Damage increased from 30 to 35. *Speed decreased from 25 to 20. *Speed decreased from 0.8 to 0.61. *Health increased from 126 to 130. *Cloak now takes time to decloak instead of instantly. 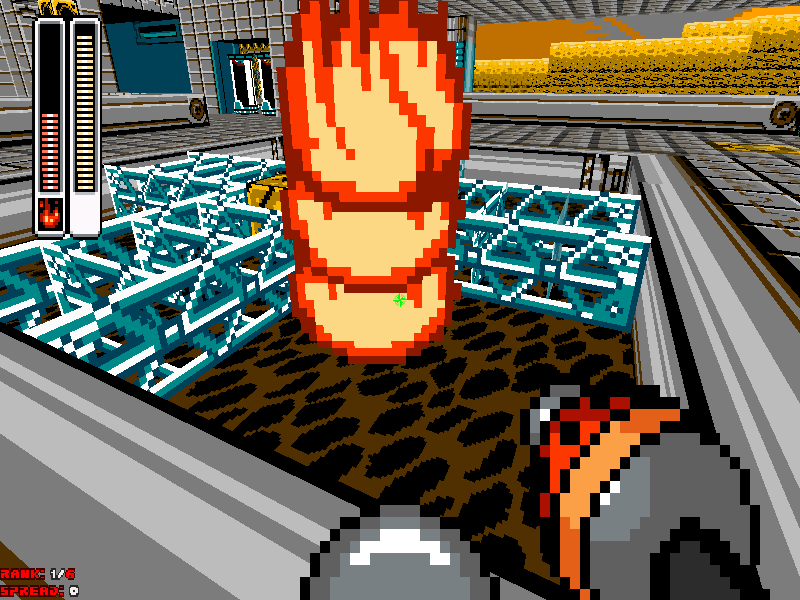 **Now uses smaller spike-based projectiles. **Damage lowered from 20 to 16. **Shrunk radius from 15 to 5. **Now only the end stuns players. **Ammo used increased from 1 to 2. **Lowered Ceiling Spike damage from 30 to 10. *Health increased from 72 to 76. *Electric Spark Damage lowered from 40 to 25. **Takes 4 tics longer to fire. *Speed decreased from 0.8 to 0.57. *Health increased from 136 to 140. *Gave Oil Puddle fancy voxel model. *Health increased from 141 to 144. *Fiddled with Jump Press to make it more like the Power Muscler. -Removed LMS invincibility if sv_maxlives are greater than 1. *Fixed crazy damage variations for Ice Statues, should now be 20. *Bug Fixed Ice Breath's freezing ability. Has this class pack been realeased yet? hmm did the opening post get deleted? sorry to bump here, but, fou finished the flame mammoth and the other skins? I, personally, was considering making X2 classes a long time ago, but I never really got around to it. I have other stuff I want to do first anyway. The creator of this thread hasn't posted on it in over a year now. I don't think that's going to change anytime soon, though I'd like to see this make a return. Also, bumping threads over a year old like that is frowned upon unless you have something to contribute to said thread.